"The university edition of the SAS software suite for advanced analytics, business intelligence, predictive analytics, and data management." 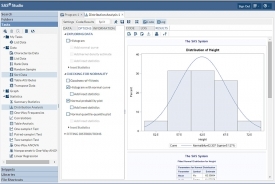 A software suite developed by SAS Institute for advanced analytics, business intelligence, predictive analytics, and data management; SAS (Statistical Analysis System) is the largest market share holder for advanced analytics. It was developed at North Carolina State University from the mid 1960s to the mid 1970s when SAS Institute was still incorporated. Further developed in the 1980s and 1990s with additions such as new statistical procedures, additional components, and the introduction of JMP; SAS continues to hold the largest share in advanced analytics at 36.2 percent of the market back in 2012, while having the fifth largest market share of BI software with a share of 6.9 percent. 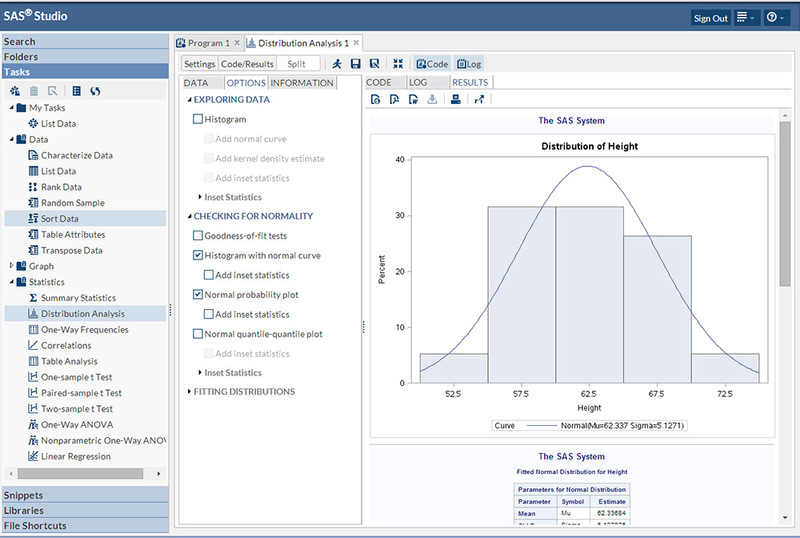 A software suite that can mine, manage, alter, and retrieve data from many sources with the ability to perform statistical analysis on it, SAS provides a graphical point and click user interface for users that are not very technical while also providing more advanced options through the SAS programming language. These programs have a DATA step which retrieves and manipulates data and usually creating a SAS data set and a PROC step to analyze the data. The PROC step consists of PROC statements that call upon name procedures to perform analysis. SAS data has the ability to be published in Excel, PDF format, and in HTML, as well as other formats using the Output Delivery System which was introduced back in 2007. The entire SAS suite has well over 200 components. This is the university edition of SAS that is available for download. This edition was created specifically for the needs of universities, for course material and other necessary reasons that may be used for educational purposes.